The Bluffs – There was a total of one closed sale at the Bluffs (one of Mammoth’s highest end neighborhoods). This home, located at 485 Fir Street, is a 4,000 SF home with spectacular views, modern architecture, 3 & loft, 3.5-bath with attached 2-car garage. The home was built in 2008 and sold for $3,250,000 @ $812.50 per square foot (PSF). Click here to view active inventory for Homes for Sale in the Bluffs. Graystone Residences at Sierra Star – This is Mammoth’s newest residential neighborhood. The sales launch of these seven homes was very successful with a high demand for these luxurious Craftsman style homes located next to the Solstice condos and on the Sierra Star golf course zoned “resort”, which allows for nightly rentals. So far, two have closed and there are another 4 in escrow (pending sales). 2088 Sierra Star Parkway closed at $1,195,000 @ 419.30 PSF. This home has 4 bedrooms, 4.5 baths, attached 2-car garage and a total of 2,850 square feet. 2130 Sierra Star Parkway closed for $1,150,000 @ $425.93 PSF, and has 4 bedrooms, 4.5 baths and a total of 2,700 SF. The launch of the new Gray Bear at Mammoth homes for sale will include 12 luxury homes with the same Craftsman style architectural design and will be built along the 8th hole of the Sierra Star golf course. These homes will also be zoned “resort”, which will allow for nightly rentals. For floor plans, detailed lot information and site plan, contact me directly. There are currently no active listings within the Graystone neighborhood. Graywolf – There was a total of one closed sale located at 300 Twin Lakes Lane. This 4-bedroom, 4-bath home, built in 2006 with 2,704 SF is located close to Canyon Lodge in the Mammoth Slopes area (between the Village at Mammoth and Canyon Lodge). This was a bank-owned property (REO), which sold for $959,000 @ $354.66 PSF…A pretty good buy for a newer construction home on a cul-de-sac with higher-end finishes throughout in a great neighborhood. There are currently no active listings within the Graywolf neighborhood. Holiday Pines/Holiday Ridge – Located adjacent to the Mammoth Knolls subdivision and just a short walk to the Village at Mammoth (east of the Village). There was one closed sale for each – both situated on the same sized lot of 9,148 SF. 112 Grindelwald closed at $619,000 @ $305.38 PSF with 2,027 SF, 3 bedrooms, 2 baths and attached 2-car garage, built in 1974. 90 Holiday Way closed for $615,000 @ $359.23 PSF with 1,712 SF, 3 bedrooms, 2.5 baths, attached 1-car garage and built in 1985. Click here to view active inventory for Homes for Sale in Holiday Pines and Holiday Ridge. Laurel Meadows in Old Mammoth – A total of one closed home in this neighborhood located at 200 Waterford. This 3-bedroom, 2-bath home built in 1997 with attached 2-car garage sold for $448,000 @ $344.62 PSF with 1300 SF on a lot size of 9,148 SF. There are currently no active listings for sale within Laurel Meadows. Majestic Pines - Located closer to the Eagle Express / Juniper Springs Resort area, there was a total of one closed residential sale in the Majestic Pines I subdivision. A 3-bedroom, 2-bath with attached 1-car garage built in 1989 sold for $495,000 @ $344.47 PSF with a lot size of 8,276 SF. Click here to view active inventory for Homes for Sale in Majestic Pines. Mammoth Camp Tract – A total of 6 closed sales within this neighborhood located in Old Mammoth. The average sized home was 3 bedrooms, 2 baths, built in 1970s to 1990s, with an average size of 1700 SF and 10,000 SF lot. Sales ranged between $417,000 and $787,000 and an average selling PPSF of $341.28. Click here to view active inventory for Homes for Sale in Mammoth Camp Tract. Mammoth Heights – Located pretty close to the Village at Mammoth off of lower Forest Trail, there was a total of one closed sale. This was a bank-owned property and a “fixer” with 1 bedroom & loft, 1-bath, 1,240 SF, built in 1963 (A-frame), which sold for $327,600 @ $264.19 PSF. Click here to view active inventory of Homes for Sale in Mammoth Heights. Mammoth Knolls - A total of 4 closed residential sales in this great neighborhood located close to the Village at Mammoth. The closed sales consist of 2 to 3 bedrooms, 2 baths, ranging from 1300 to 2400 SF, 2-car garages (one with 3), and built in the mid-1970s. Selling prices range between $475,000 to $615,000, with an average selling PPSF of $310.91. Click here to view active inventory for Homes for Sale in Mammoth Knolls. Mammoth Slopes – A total of 15 closed residential sales in this popular neighborhood that has several homes located between the Village at Mammoth and Canyon Lodge. Mammoth Slopes is made up of 5 subdivisions – one through five. Sales in these subdivisions ranged from $395,000 up to $1,482,500. The average selling price per square foot for all 15 closed sales was $318.30 with $200.23 PSF on the lowest end and $406.65 at the highest. There is a varied selection of homes in all shapes, sizes, year built, etc. within these five subdivisions that collectively make up the “Mammoth Slopes” homes for sale. You can find anything from an entry level home without a garage for the mid-$300k range up to a high-end Million-Dollar + home with new construction. 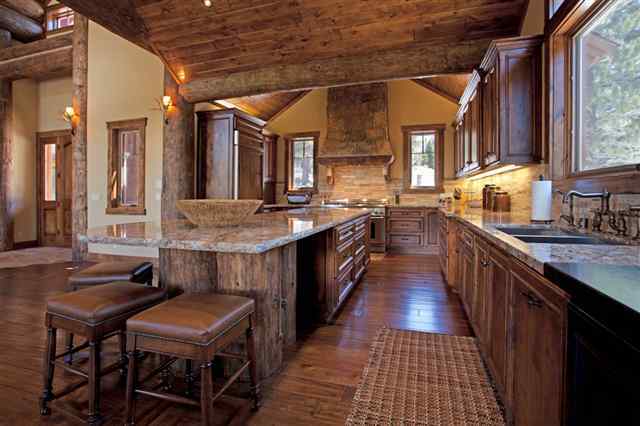 Click here to view active inventory for Homes for Sale in Mammoth Slopes. Mammoth Vista - Located in the Eagle Express / Juniper Springs Resort area, the Mammoth Vista neighborhood consists of 3 subdivisions – one through three. There were a total of five closed sales that ranged in selling price between $661,000 and $1,485,000 with $241.57 PSF (great location but needed a full remodel on Majestic Pines Court) to $495.000 PSF (new construction, almost across the street from Eagle Express). Click here to view active inventory for Homes for Sale in Mammoth Vista. Shady Rest Tract, Sierra Vista Estates & Sierra Valley Sites - Located in the rectangular section of town between Meridian Blvd, Joaquin Road, Main Street, Old Mammoth Road and behind the post office. There were a total of 13 closed sales, which averaged in price between $317,000 (short sale on Lupin, no garage) up to $575,000 (on Pinecrest, behind post office – charming house with nice upgrades). The average selling PPSF was $291.63. Click here to view homes for sale in Shady Rest Tract, Sierra Vista Estates and Sierra Valley Sites. Snowcreek Crest – This higher end neighborhood located across the street from Starwood and above the Snowcreek resort condos phases I – III, had a total of 6 closed sales. The lowest sale closed for $530,000 @ $221.48 PSF and needed to be finished/completed (partial remodel started). This home was 2 bedrooms, 1.5 baths, 2-car garage and 2,390 SF. The highest closed sale was a 4-bedroom, 4.5-bath, 4340 SF home with spectacular south-facing views, built in 1999, with an 11,761 SF lot, at $1,600,000/$360.52 PSF. Click here to homes for sale in Snowcreek Crest. Snowcreek Fairway Ranch & Snowcreek Ranch – Behind the gates just beyond the Lodges on Ranch Road is the entrance to Snowcreek Fairway Ranch and Snowcreek Ranch. Some of these homes have direct golf course frontage on the Snowcreek golf course. There was a total of two closed sales – one in each subdivision: Snowcreek Fairway Ranch: 157 Woodcrest Trail sold for $1,965,500 @ $578.09 PSF with 4-bedrooms, 4.5 baths, attached 2-car garage, 10,019 SF lot, golf course frontage, and built in 2001. Snowcreek Ranch: 350 Ranch Road sold for $1,100,000 @ $365.21 PSF with 5 bedrooms, 3.5 baths, 3,012 SF, attached 3-car garage, and an 18,295 SF lot. Click here to view active inventory for Homes for Sale in Snowcreek Fairway Ranch & Snowcreek Ranch. Starwood & Tallus – One closed sale for each neighborhood. 109 Northstar Circle in Starwood sold for $2,000,000 @ $350.88 PSF. This home has 5 bedrooms, 4.75 baths, 5700 SF, built in 2001, 23,087 SF lot with attached 2-car garage. The Tallus home (which was whole ownership in this private residence club of fractional ownership) sold for $1,855,000 @ $371.00 PSF. This home has 5 bedrooms, 5 baths, 5,000 SF, attached 2-car garage, a private theatre, high-end fixtures and construction throughout. HOA dues @ $4,000/month (yes, per month!). Click here to view active inventory for Homes for Sale in Starwood. Timber Ridge Estates – Located on John Muir above the Canyon Lodge area, there was a total of two closed sales at $479,000/$281.76 PSF with 4 bedrooms, loft, 2 baths, no garage, 1700 SF, built in 1982, and $1,290,000/$319.70 PSF with 5 bedrooms, 4.5 baths, 3-car garage, 4035 SF, built in 2000. Click here to view active inventory for Homes for Sale in Timber Ridge Estates. The Trails – This neighborhood is made up of 3 subdivisions (1-3) and is located next to the middle school off of Meridian Blvd., close to Vons (east) and the center of town. Considered the “banana belt” of Mammoth, this slightly lower elevation gets less snow accumulation and enjoys great “wide open” views in all directions (depending on orientation of property). There were a total of 6 closed sales ranging in price from $467,000 up to $740,000. The homes averaged in square feet from 1,147 up to 2,552, and average year built in the mid-1990s. The average selling price per square foot is $313.67 PSF. Click here to view active inventory for Homes for Sale in the Trails. Tyrolean Pines – A total of two closed sales in this neighborhood located close to Eagle Express, closest to the Lake Mary and Kelley Road intersection. 107 Kelley Road sold for $750,000 @ $297.50 PSF with 5 bedrooms, 4 baths, attached 3-car garage and 2520 SF, built in 1992. This street tends to have quite a bit of traffic and shuttles that go directly past the house every half hour in the winter months. This could be why the house sold for so much less PPSF given size and location. The other sale was located at 37 Innsbruck Place on a quiet street off of Kelley Road, which sold for $390,000 @ $237.80 PSF. This home has 2 bedrooms & loft, 2 baths, no garage, 1640 SF and built in 1972. 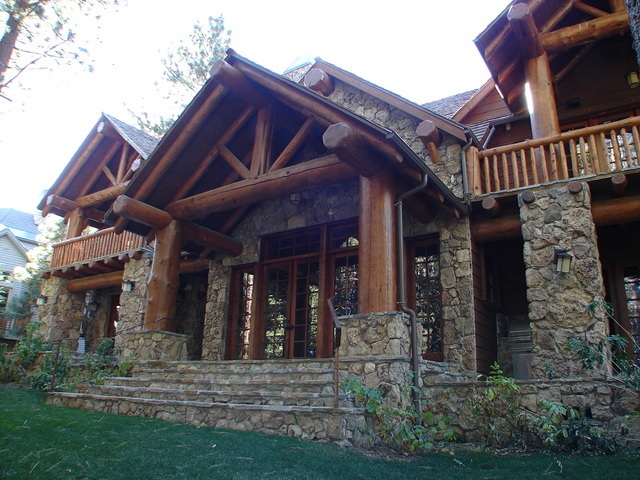 Click here to view Homes for Sale in Tyrolean Pines. 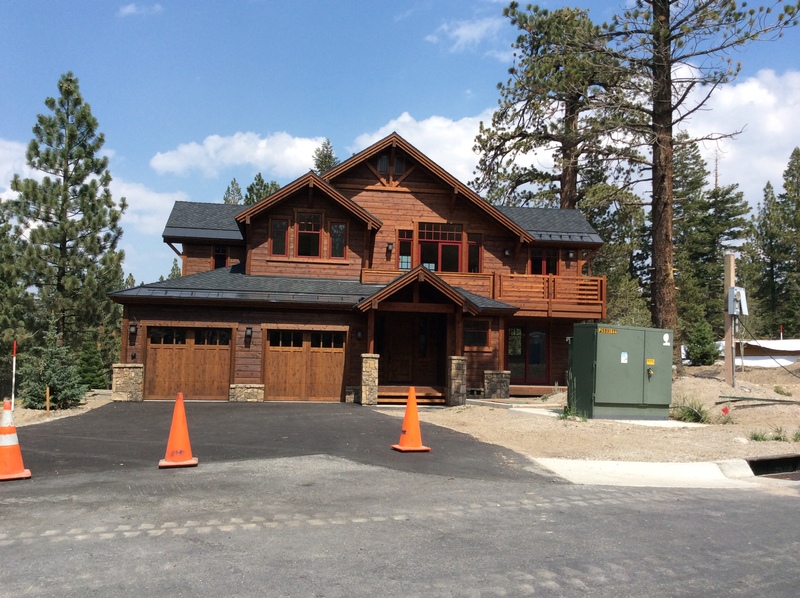 For questions or to request additional information on any closed sales in Mammoth, please feel free to contact me.